Lots of good cooking this week! It’s just a fact of life; some weeks in the kitchen are better than others. This past week was definitely one of the better ones. On Sunday Michael saw an ad somewhere for Chicken Marsala. It sounded good to him and he asked if I could fix it. Well, I’m always glad for requests, but I didn’t have a recipe for that. As I often do, I went to the internet. I research many recipes for a given dish and print out several. I then take bits and pieces of them all, add my own twists, and morph it all into a new recipe. 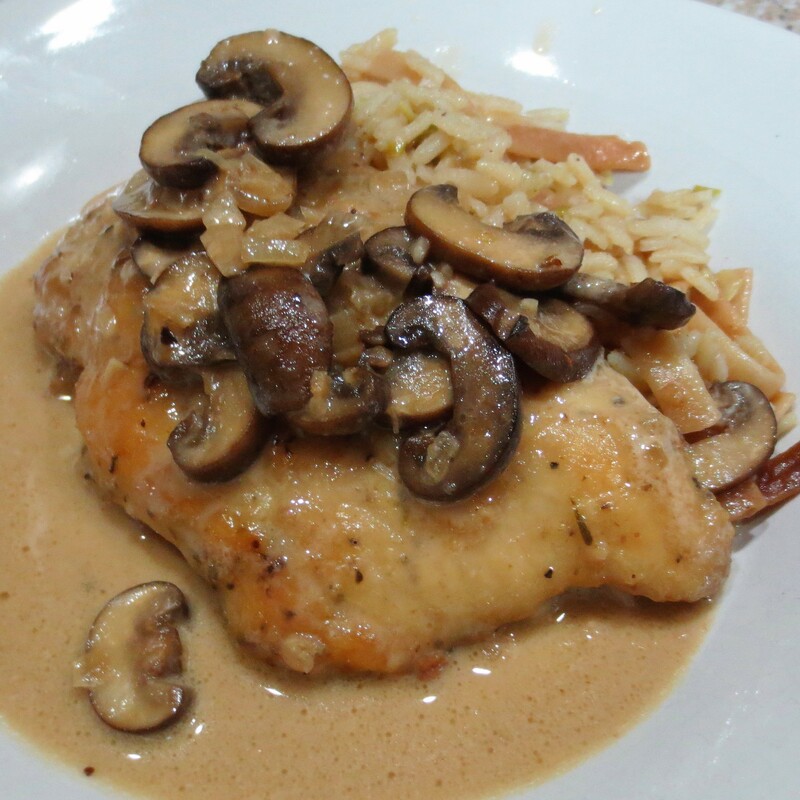 This time the result was My Chicken Marsala. We both think the dish turned out well, so I’ll keep that recipe and share it with you. 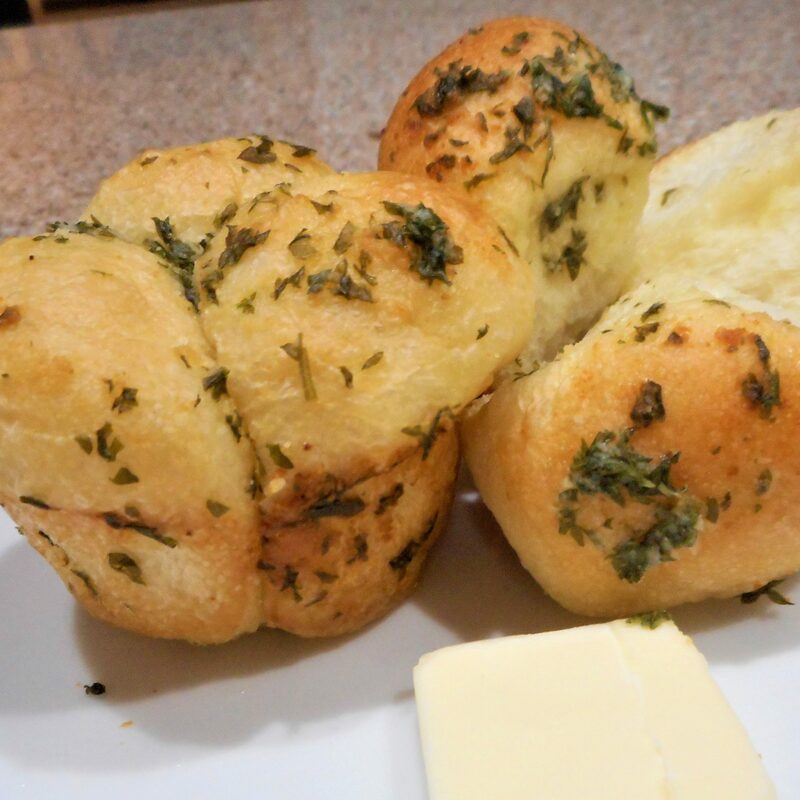 Another morphed recipe was born this week, as well. 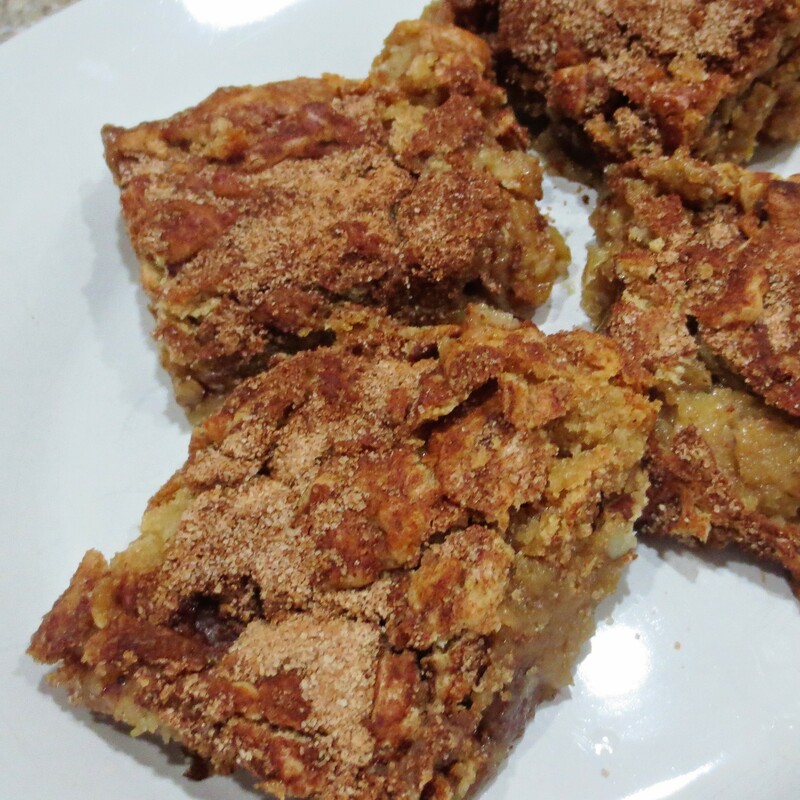 Cinnamon Apple Squares are a tasty little snack cake, although just a bit messy. The cinnamon sugar topping wants to spill off when you pick the squares up. I’ll have to work on the topping texture. Tuesday’s dinner was tasty, but that recipe also could use some work. Another Chicken Tamale Casserole makes a large 9×13 inch casserole, way too much for two people, even if you plan leftovers. The way the topping is blended and applied part way through the baking time makes it difficult to divide and freeze this recipe. 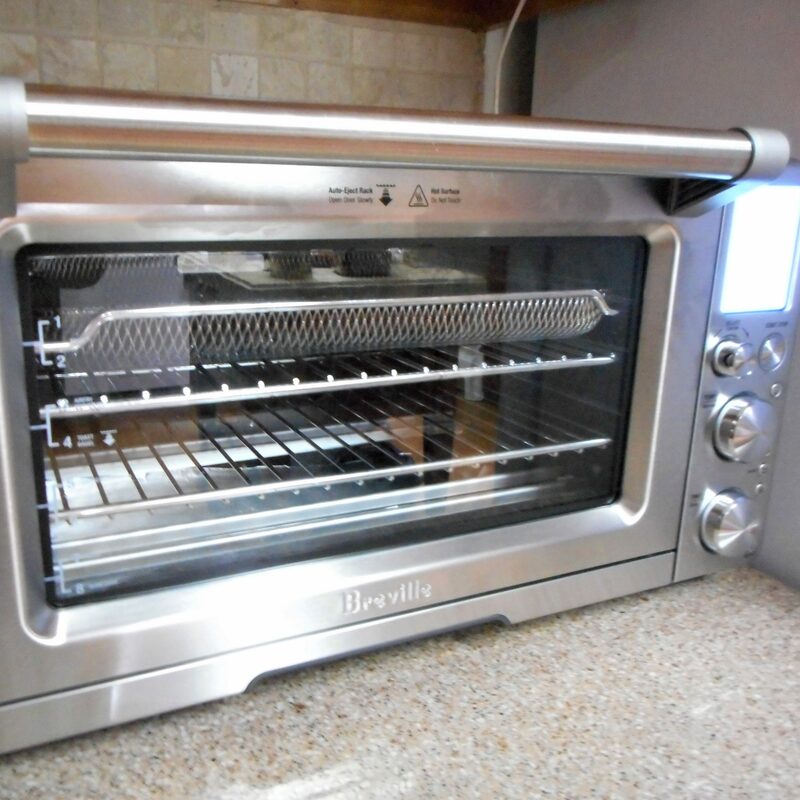 The casserole is also one of those that is best fresh, not reheated. If you have a larger family, this recipe is fine as written, but I’m going to have to find a way to scale it back. Michael also made a second meal request He thought it might be time for a pot of Kielbasa and Cabbage and I was happy to comply. Dinner doesn’t get much easier than that. All you do is chop, drop, and wait till it’s done. There is one problem with the kielbasa though. Each little two inch piece of sausage is over 100 calories, even the lite variety. Ouch! Those calories add up fast. Self discipline dictates that we only get three pieces each, then fill up on veggies. 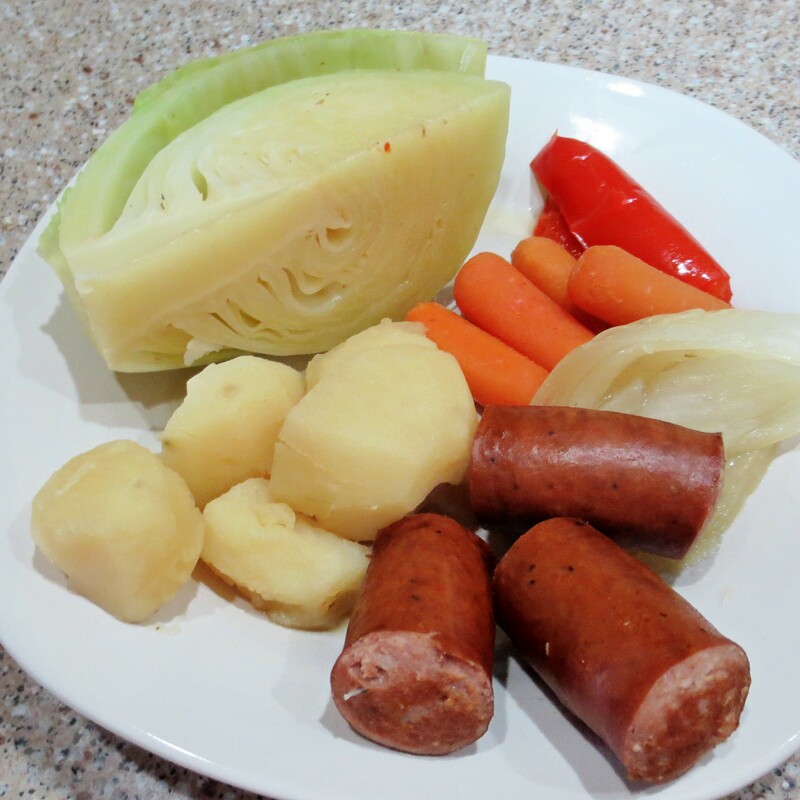 Really, that’s the way we should eat, less fatty meat and more vegetables, but that Kielbasa is so very tasty. Friday’s dinner was inspired by our trip to Bessemer on Monday. I planned to make my own gumbo. While I was at the fish counter for shrimp the bay scallops looked good, too. Michael’s Bay Scallop Po’Boys seemed like a good idea at the time, but in reality were a poor decision. I got in a rush and didn’t follow my own recipe, so the scallops were a failure. 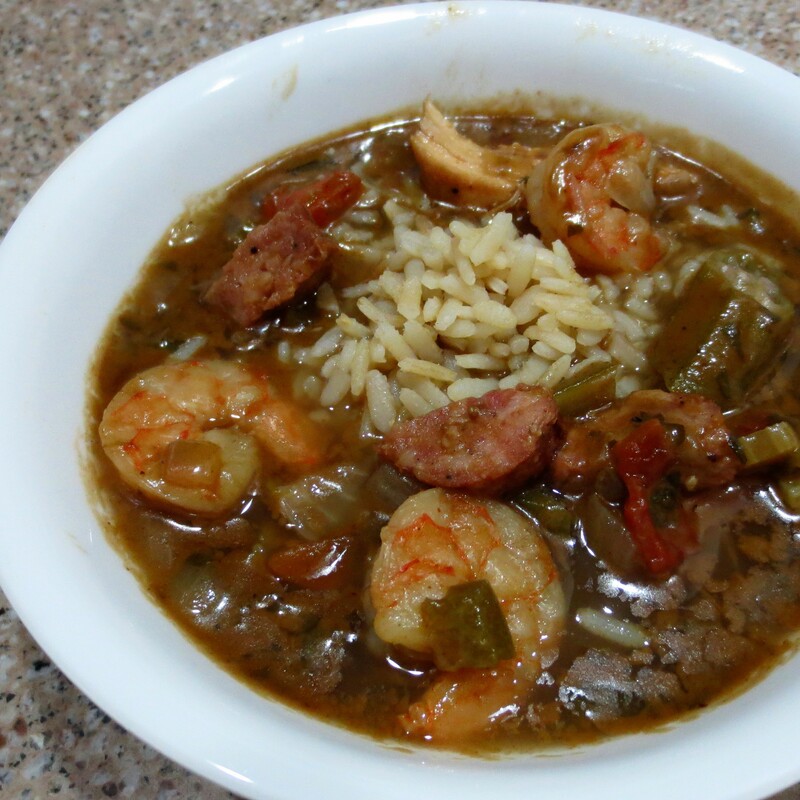 My Alabama Coast Gumbo was another story. Ok, I’m patting myself on the back here, but I enjoyed that pot of gumbo as much as I’ve ever eaten in any beach front restaurant. The secret to a good gumbo is the roux. 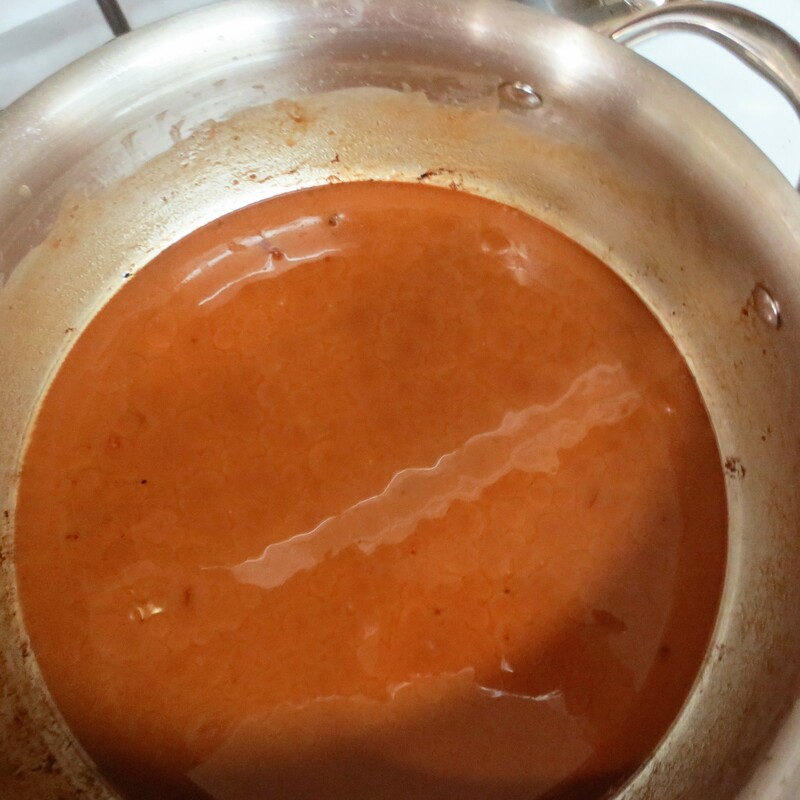 It takes quite a bit of time and stirring to get the roux to the right color, like this. I could have probably taken it darker, and that would make the gumbo even richer, but I just got tired of stirring. Do the restaurants hire a dedicated stirrer? I’m not going to apply for that job! This entry was posted in Uncategorized on October 17, 2015 by lizziesmom2012.